According to an Ipsos MORI survey commissioned by the RAC Foundation, 50% of Britons are concerned about the future of driver-assist developments. 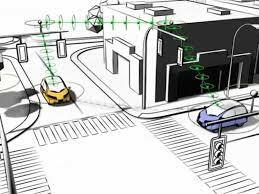 The survey suggests that there is a limit to the amount of driver-assist functions that drivers are willing to accept before they start to become uncomfortable of the amount of control given over to this technology. Around two thirds of car owning households have vehicles with at least one driver-assist function such as adaptive cruise control, lane departure detection and automatic emergency braking.